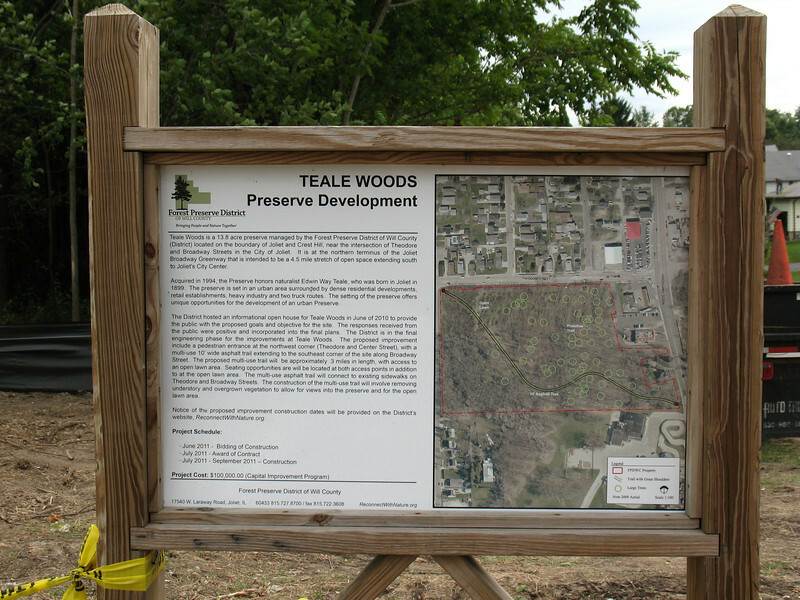 Will County Forest Preserve District's "Development" of Teale Woods, August-September 2011, Joliet, IL. Signage and trailhead pictured here are at the intersection of Theodore and Center Streets on Joliet's near-West Side. Photos by M. Bryson.